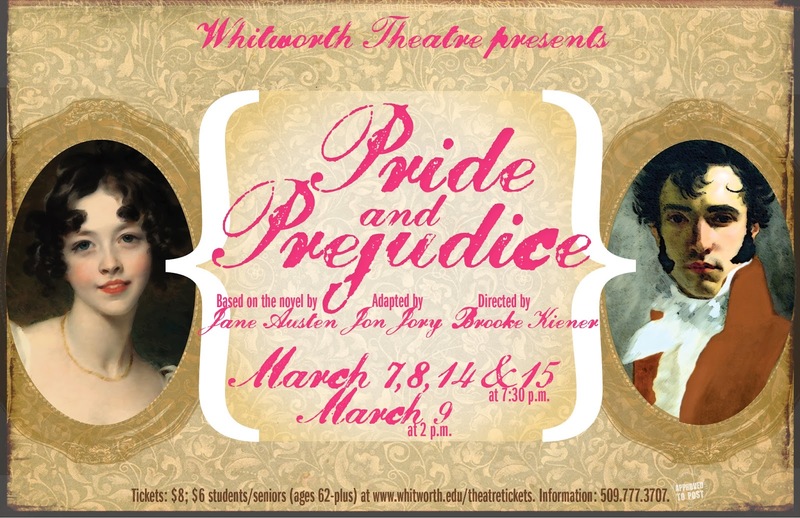 The spring Whitworth Theatre production will feature “Pride and Prejudice.” Performances will take place March 7, 8, 14 and 15 at 7:30 p.m., and March 9 at 2 p.m., in Cowles Auditorium at Whitworth University. General admission is $8, and $6 for students and senior citizens (age 62+). Tickets can be purchased at the door or online at www.whitworth.edu/theatretickets. For more information, please call (509) 777-3707. “Pride and Prejudice” is a classic Jane Austen novel first published in 1813. The plot centers on Elizabeth Bennet as she deals with issues related to marriage and society in 19th-century England. The novel has been adapted for film, television and theatre numerous times. Jon Jory adapted the novel for the stage in 2005. Ella Kerner, theatre department program assistant, Whitworth University, (509) 777-3707 or ekerner@whitworth.edu.